It's Friday folks- and that means it's date night around here! We don't always get out on a date, but we try to once or twice a month and tonight is one of those nights. 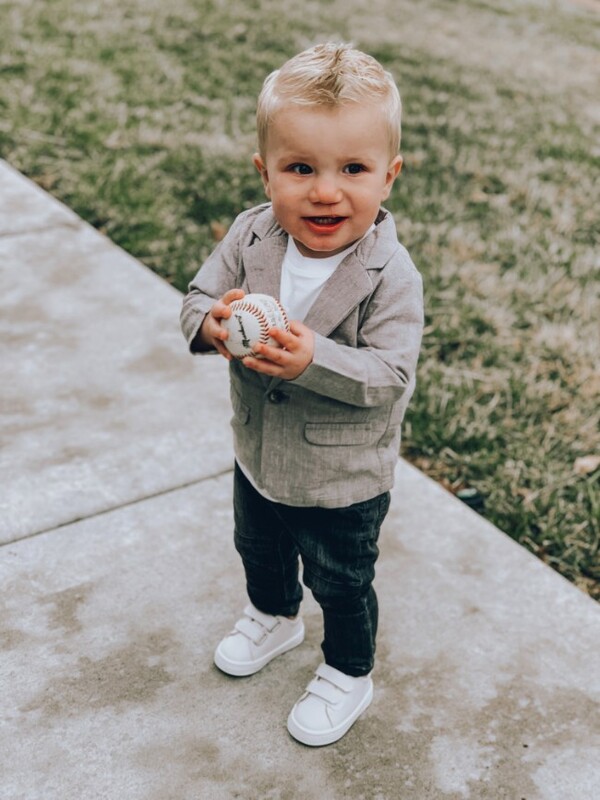 I have been working on this post for boy's Easter outfits this week and couldn't help but laugh at how perfect Rush's outfit in these pics is not only for Easter, but for a handsome little date night too. 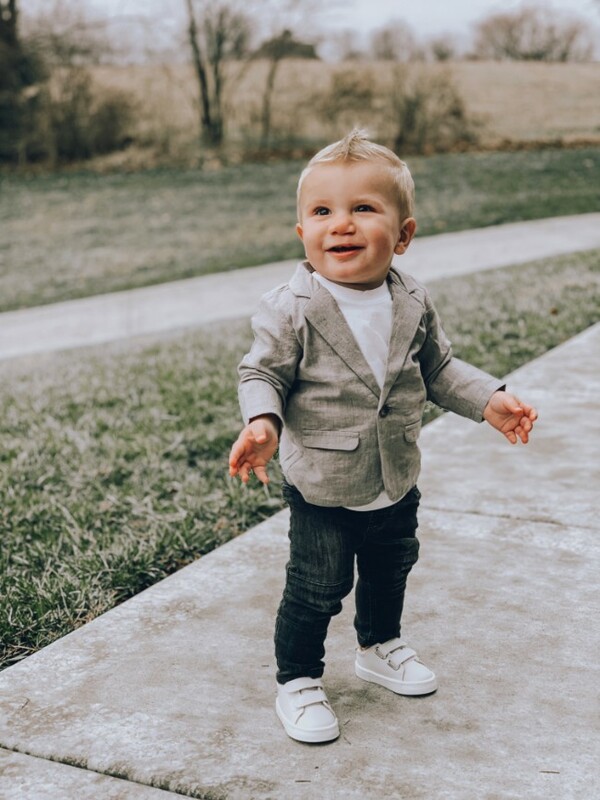 Luckily for us, we have a great babysitter, so he'll be staying in tonight and have to save his little blazer for Easter Sunday instead. Easter is awfully late this year, but that just gives us momma's a little more time to pull outfits together. 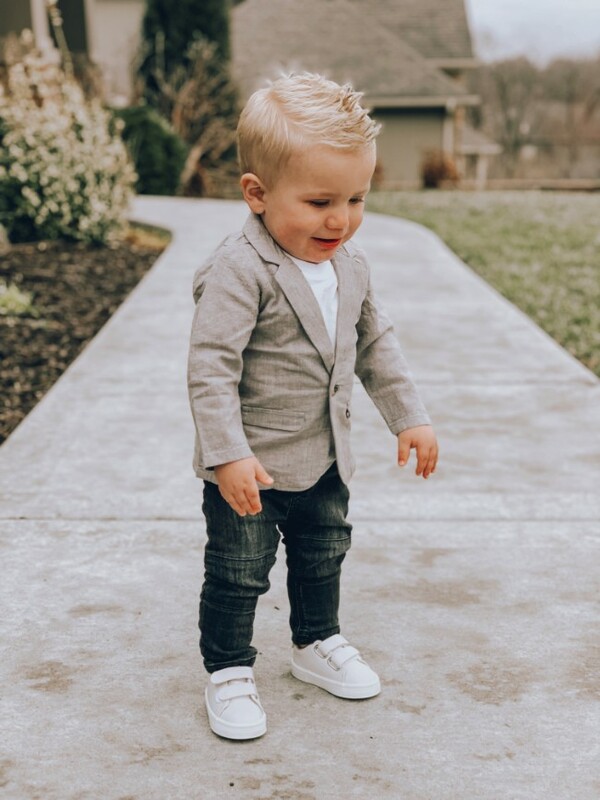 I've had some requests for Easter outfit inspo for boys so today I'm sharing some of my favorite suits, blazers, belts, shoes, polos, shorts- you name it- from a bunch of different retailers for your little man's Easter best. 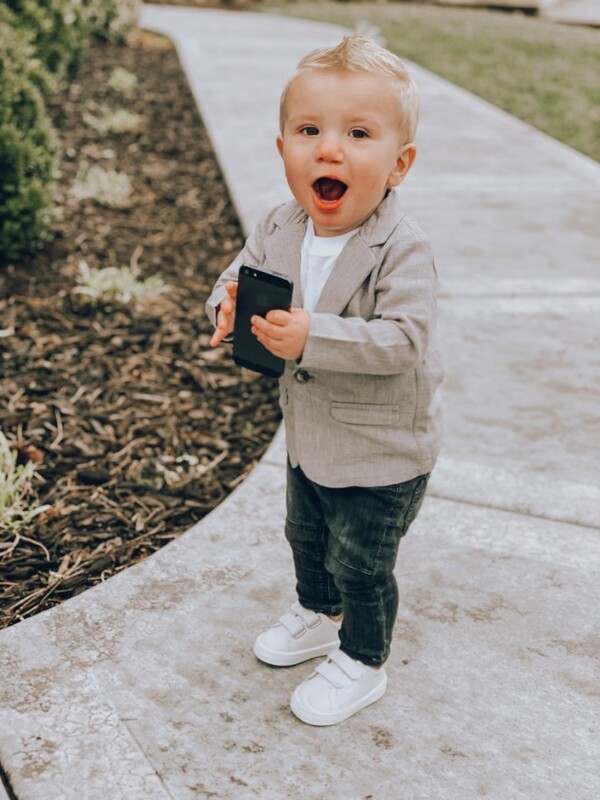 We love dressing up for church and especially for Easter Sunday, but during Spring and Easter season there are so many other cute photo ops. We usually make it to an Easter egg hunt or two and have Spring pics and usually need a few different looks to accommodate all the things. I'd dress Rush in today's outfit for family pics, an Easter egg hunt or some other Spring gathering. For church my boys usually wear khaki pants or shorts from Abercrombie, polos that match my dress, suits from H&M or shirts and ties from Nordstrom. I've been shopping at H&M quite a bit for Rush at this age and although he is almost 14 months, he fits the 6-9 month clothes. I think all their kids' clothing runs big. Abercrombie however tends to run TTS, but only fits ages starting at 5/6. I've also been known to run into Target or Old Navy last minute to grab matching things for all of the boys, so I've included them in the lineup below as well. 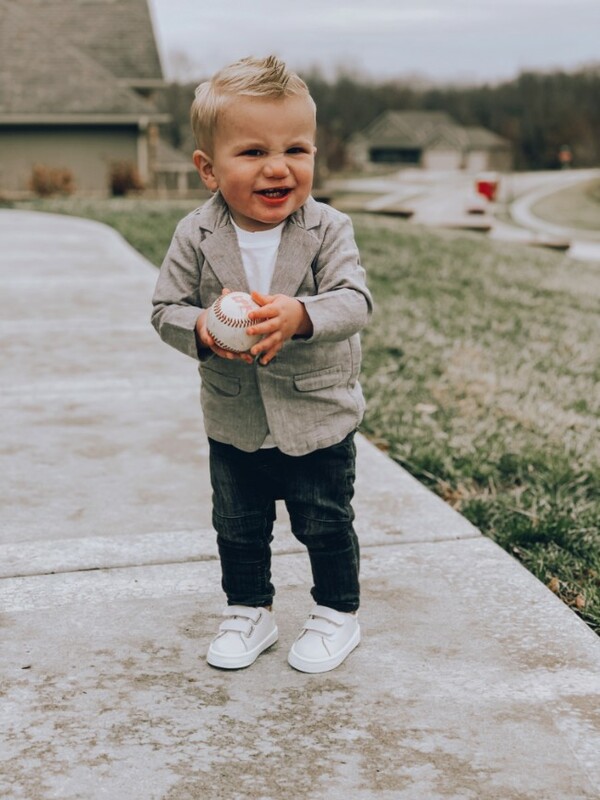 Check out my current faves for little boys' Easter outfit ideas below. Do you dress your family up for Easter? Spring pics? What are your traditions?